Editor's note: This analysis is an excerpt from our new State of Inbound Report. Sign up for the full data readout here. Take part in the 2017 study by answering the survey here. 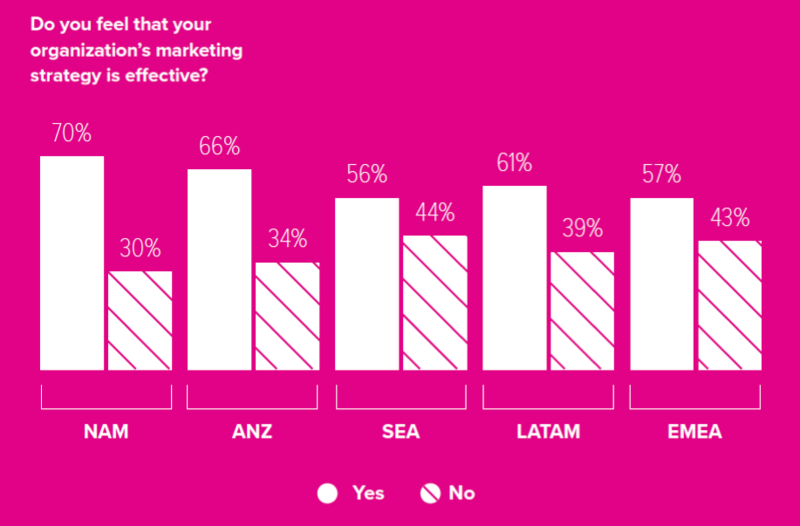 Globally, marketers in NAM (North America) and ANZ (Australia and New Zealand) have the most faith in their organization’s marketing strategy. Just over half of respondents in SEA (Southeast Asia) and EMEA (Europe, Middle East, and Africa) expressed confidence in their strategy. We isolated just the respondents who had confidence in their marketing strategy, and compared inbound organizations against outbound organizations. Inbound marketing organizations report being more strategically effective compared to outbound organizations. 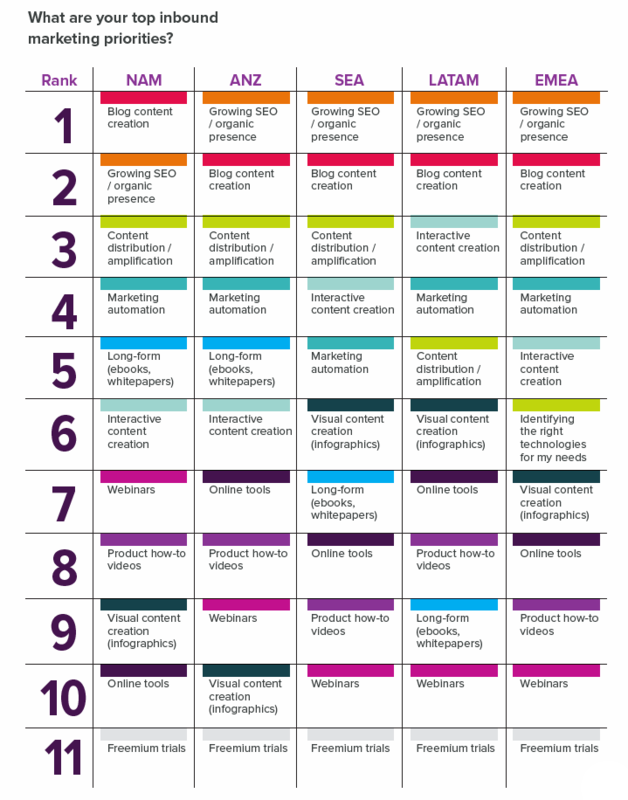 The majority of strategically effective organizations use inbound marketing. Generating leads and proving ROI are universal challenges across geographies. Key differences relate to website management, targeting international audiences, training, and hiring. For NAM marketing teams, wrangling the website was cited as a top-3 challenge. 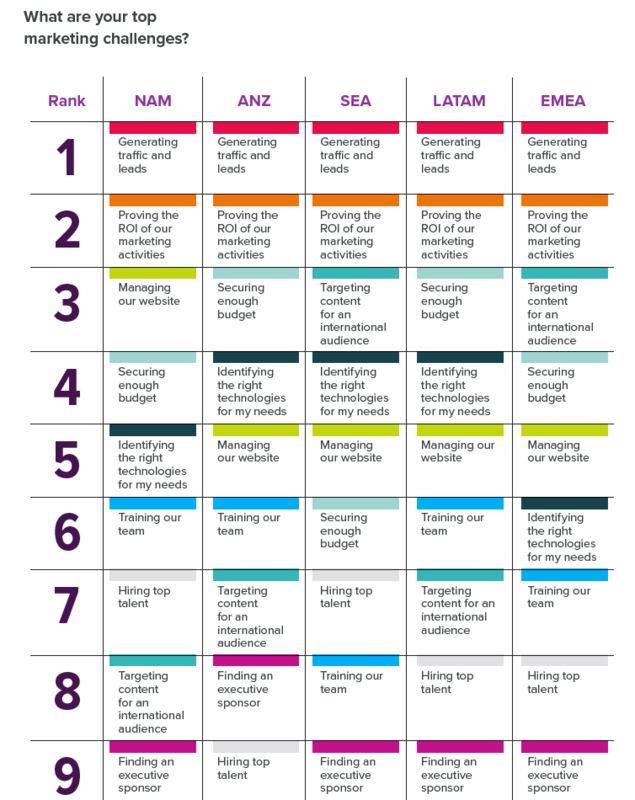 SEA- and EMEA-based organizations were more concerned with targeting content for their international audiences; ANZ- and LATAM-based organizations with securing budget. All marketing teams globally prioritize converting their leads into customers. Marketers in LATAM then focus on increasing revenue from existing customers while the other regions focus on growing overall traffic. 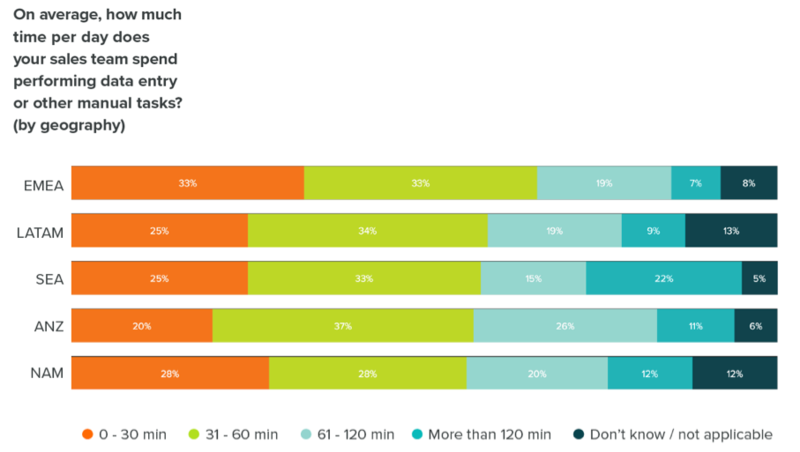 With respect to inbound marketing priorities, NAM marketers focus on blog content while other regions say growing SEO/organic presence is their top goal -- both distinct but certainly interrelated marketing projects. As we go down the list, there’s marked difference on the inbound projects each region prioritizes. Notably, webinars are lower ranked in SEA, LATAM, and EMEA. LATAM is very interested in creating interactive content while NAM and ANZ are focusing on the tried-and-true ebook format. Visual content, like infographics, are not being pursued by many marketers in NAM or ANZ. On the sales side, we found nearly a third of respondents in ANZ, LATAM, and EMEA were on the search for a new CRM. SEA-based respondents are looking for sales enablement and sales engagement software in the upcoming year. When we break down how much time sales teams are spending on data entry a day, we see a staggering 37% of ANZ sales teams spend at least an hour a day manually entering data. It’s not surprising that 31% of organizations in ANZ want to find a new CRM. 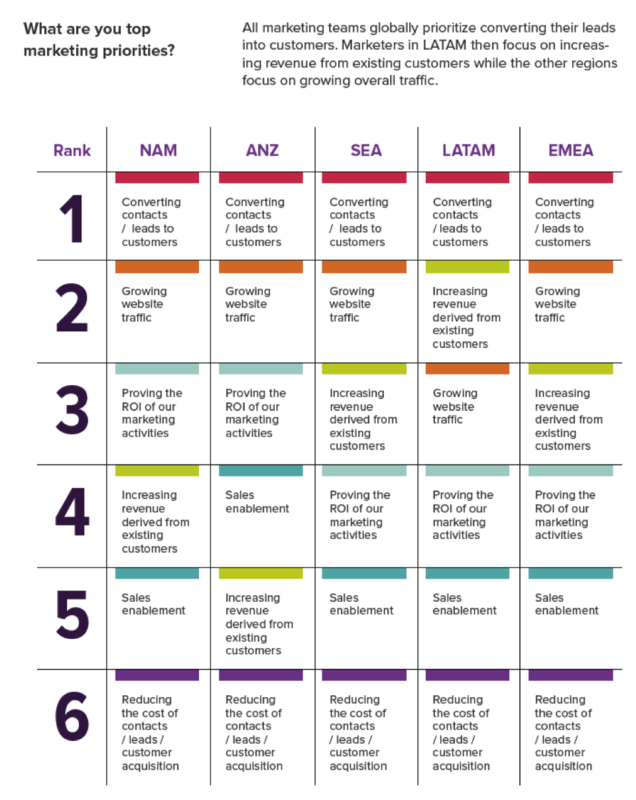 Generally, NAM sales teams have the most trouble with prospecting, followed by LATAM and EMEA. ANZ sales teams have issues with qualifying. 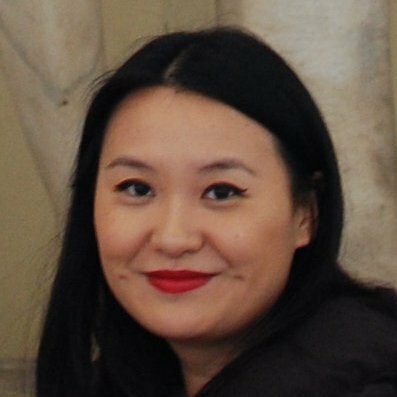 SEA-based teams have the most trouble with closing. 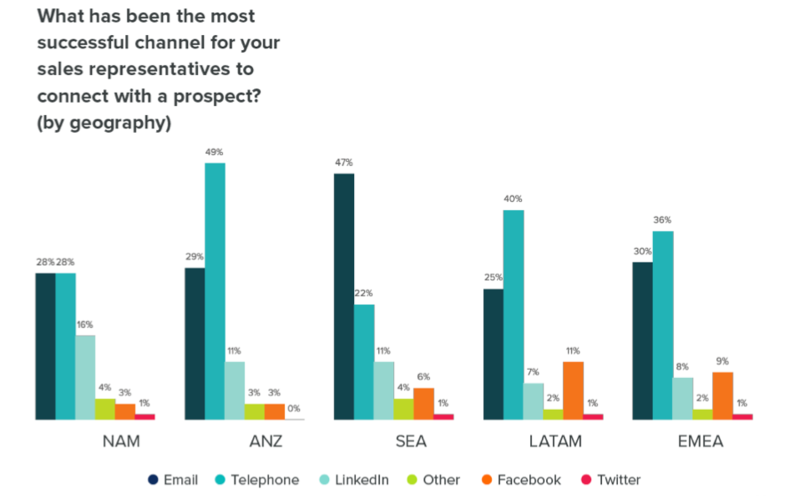 As for successfully connecting with a prospect, NAM respondents are split: There are no clear cut best ways to reach prospects. Telephone works best for ANZ, LATAM, and EMEA. 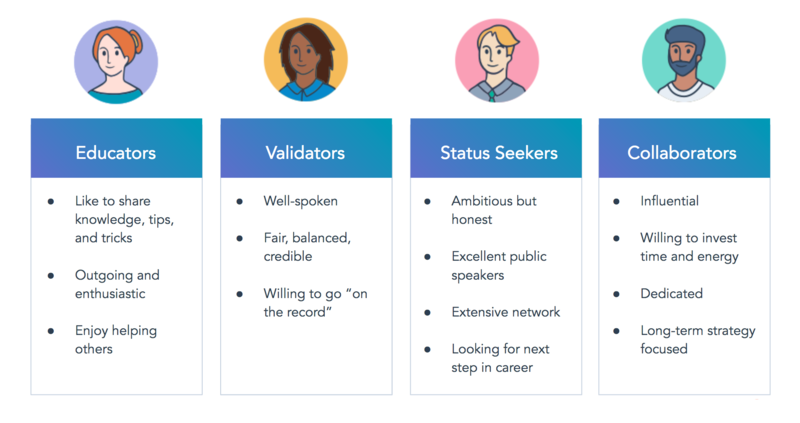 SEA sales teams connect best through email. There are some regional differences in how Sales gets its job done today. 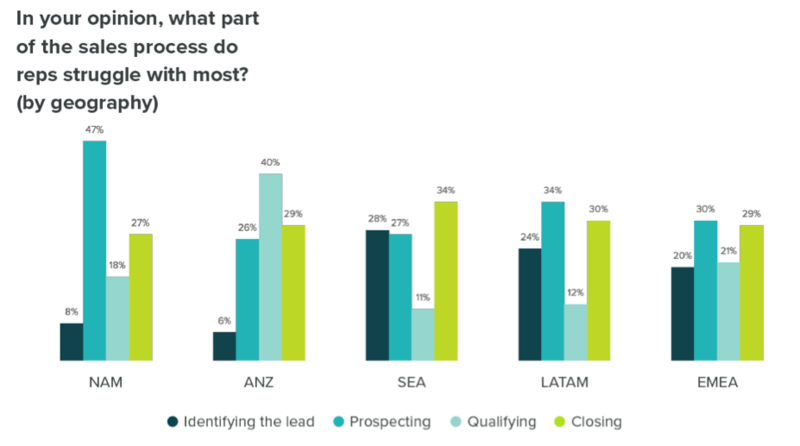 LATAM respondents have the most difficulty closing deals and identifying good leads. 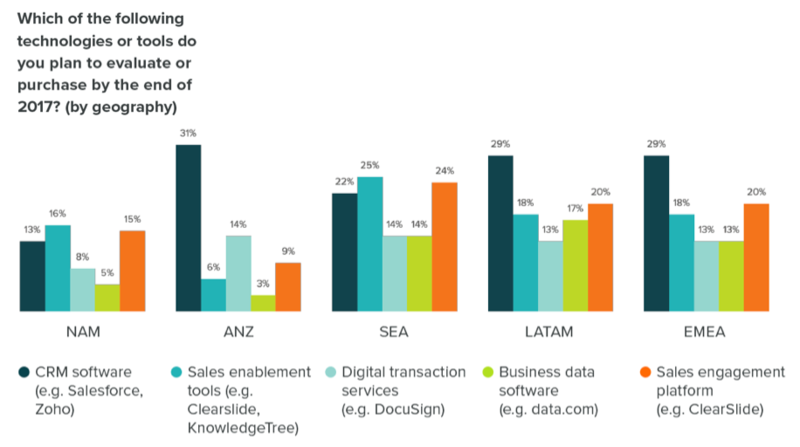 36% of NAM sales teams have trouble connecting via phone, in contrast to just 14% of sales teams in ANZ and 15% of LATAM.